NIA CHARLESTOWN (APRIL 12, 2016) — A number of persons in the private and public sector involved in project implementation will benefit from a three-day Caribbean Development Bank funded training workshop through the Caribbean Technological Consultancy Services (CTCS) network . 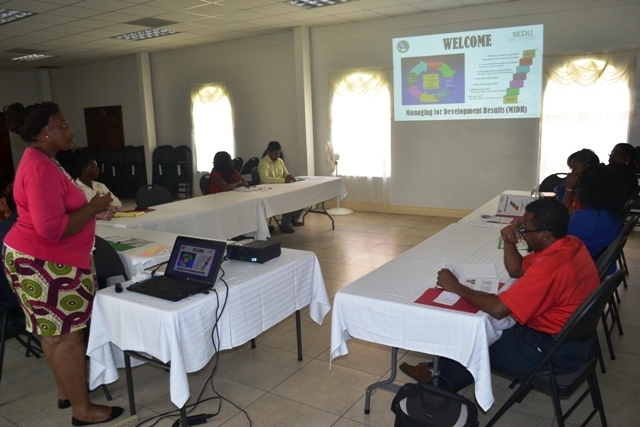 The training session dubbed Managing for Development Results (MfDR) commenced on April 12, 2016, at the St. Paul’s Anglican Church Hall in Charlestown. It is hosted by the Small Enterprise Development Unit (SEDU) in the Ministry of Finance. The theme is “Managing for Development Results for business support”. 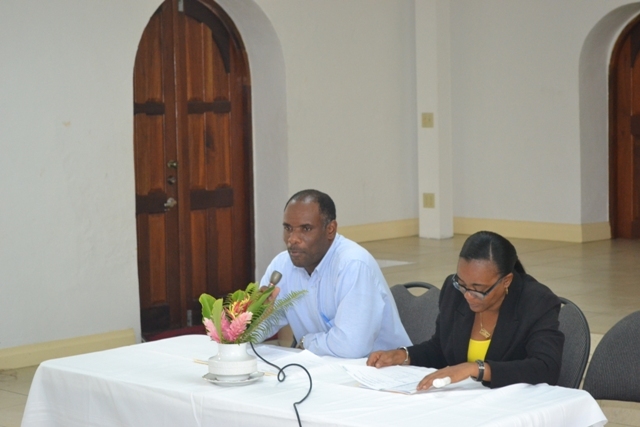 During the opening ceremony, Permanent Secretary in the Ministry of Finance Colin Dore said the capacity building workshop would help participants to develop their skill in writing projects, monitor implementation and to assess the overall impact at the end of the project. Meanwhile, Director of SEDU Catherine Forbes in her overview of the workshop, said it was the result of the participation of co-facilitator Ms. Nicole Liburd and herself in an earlier training session provided by CDB to member states through CTCS for Business Support Officers (BSO). According to Forbes, at the end of their training, they were expected to implement similar workshops to impart the knowledge and skills they had obtained to persons involved in projects and project planning in their country. She expressed her hope that at the end of the training workshop, participants will be in a better position to engage in high quality strategic planning, to monitor, review and evaluate the progress of projects.